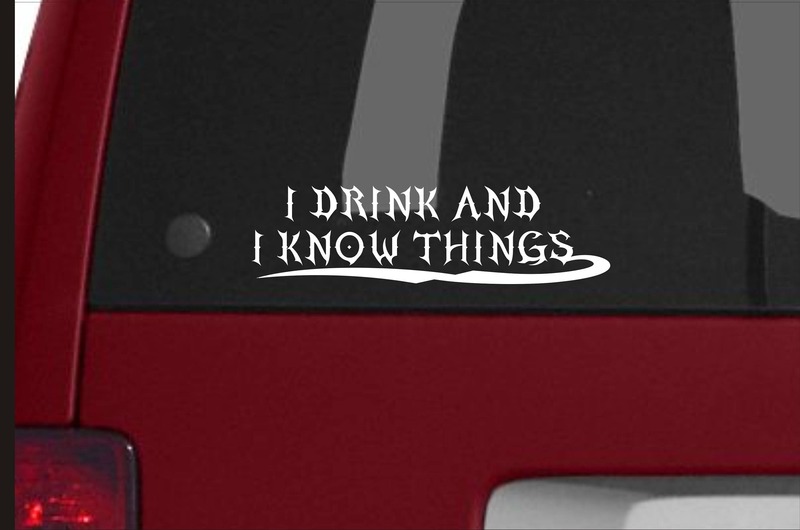 "I drink and I know things" vinyl decal- Made popular by the exciting TV series. 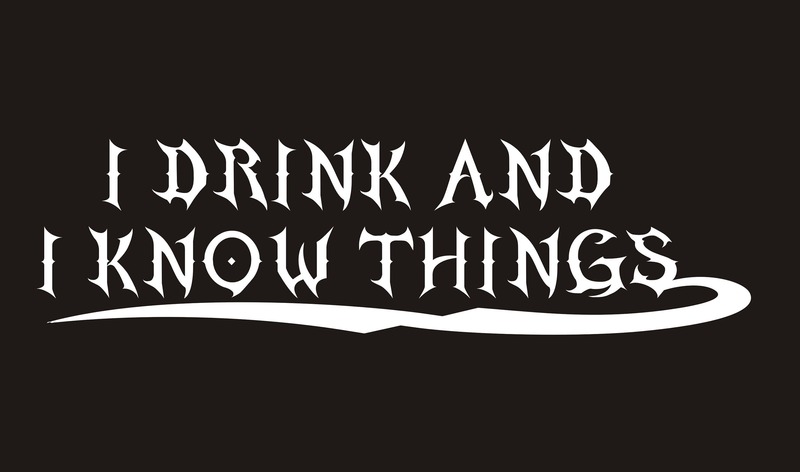 I drink and I know things will surely get lots of attention. 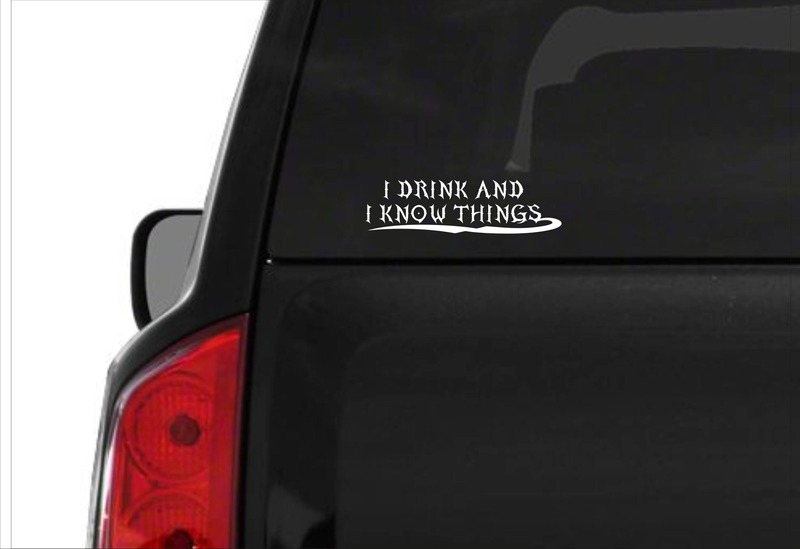 Approx size is 2" x 7.5"
We use only premium outdoor vinyl. Water and weather resistant for 5-7 years.